Heeft u een vraag voor Hanoi Brilliant Hotel and Spa? 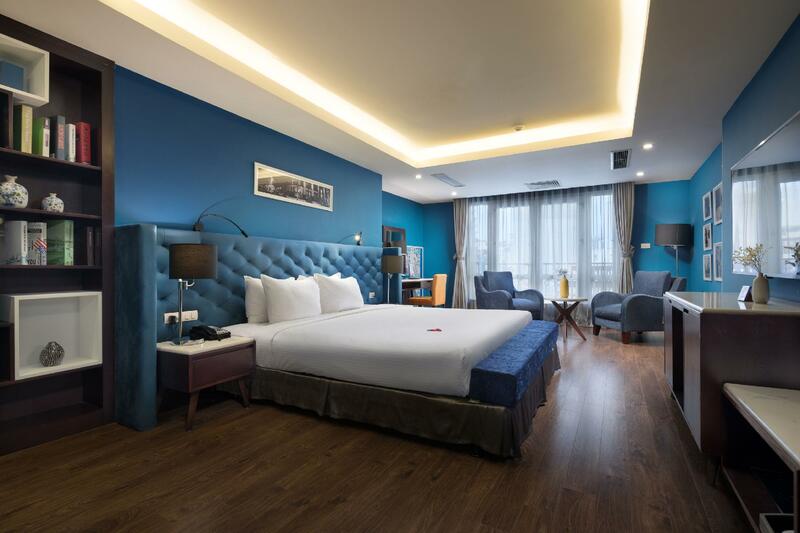 Gesitueerd in het gezellige Hoan Kiem District, geniet het Hanoi Morgans Hotel in Hanoi een goede reputatie onder reizigers met een interesse in cultuur, winkelen, bezichtiging van bezienswaardigheden. Het stadscentrum is slechts 0.1 km verwijderd en het vliegveld kan worden bereikt binnen 45 minuten. Niet minder uitzonderlijk is het feit dat zoveel attracties en monumenten in de buurt liggen, zoals Mekong Quilts, Airashi Silk, Royal Silk. 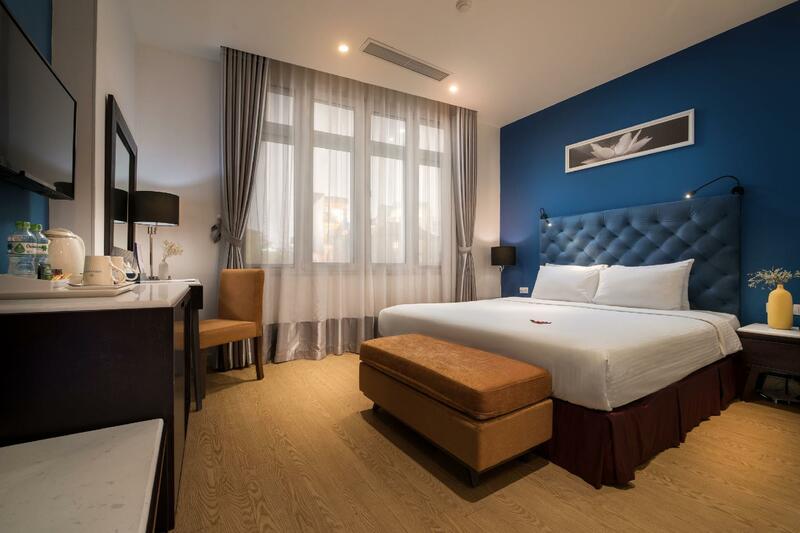 Profiteer van de ongeëvenaarde dienstverlening en voorzieningen in dit hotel in Hanoi. 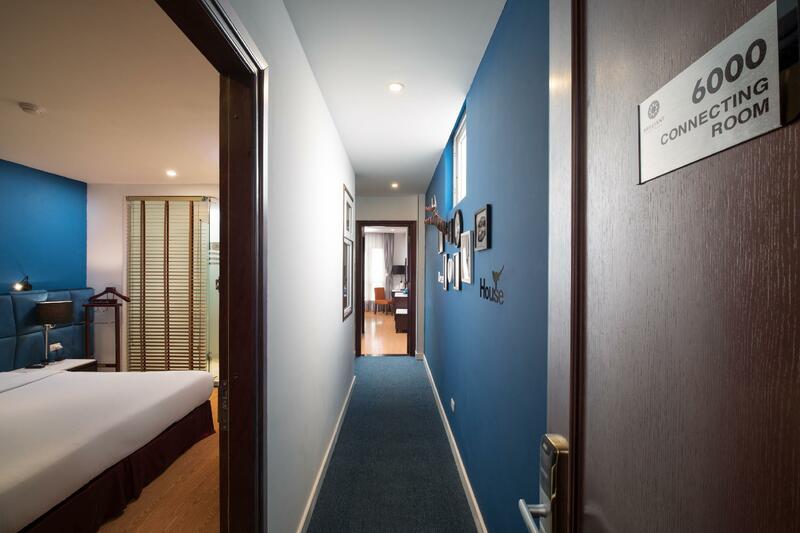 Terwijl u verblijft in deze geweldige accommodatie, geniet u van faciliteiten als gratis wi-fi in alle kamers, 24-uur beveiliging, dagelijkse schoonmaak, ticket service, taxi service. Aanvullend beschikken alle gastenkamers over een variëteit aan voorzieningen als plasma tv, internet (draadloos), draadloos internet (gratis), bad/bubbelbad, rookvrije kamers, om zelfs de meest veeleisende gast te tevreden te stellen. De complete lijst met recreatiemogelijkheden is beschikbaar in het hotel, inclusief wellnessfaciliteiten, massage. 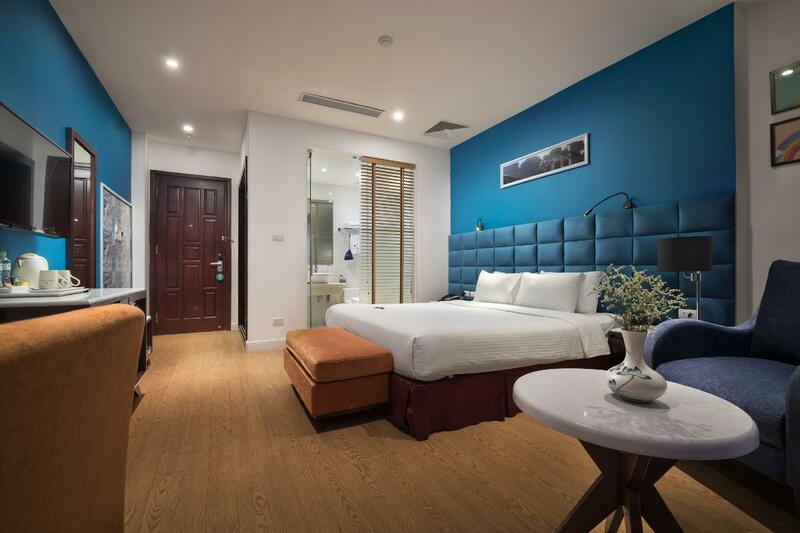 Het Hanoi Morgans Hotel is een slimme keuze voor mensen die reizen naar Hanoi: een ontspannen verblijf is gegarandeerd. Een goed hotel met goede ligging. We hadden een vierpersoonskamer met balkon. Erg ruim. Hotel is erg schoon. Wordt goed onderhouden. Het ontbijt is ook goed. Onze zoon was jarig en het personeel had onze zoon bij het ontbijt verrast met een lekkere taart. Ze hebben met zijn allen voor hem gezongen en gaven hem ook nog een cadeautje. Zo lief van ze. Allen zijn erg behulpzaam en aardig. Wij zijn heel erg blij dat we dit hotel in Hanoi hebben uitgekozen. 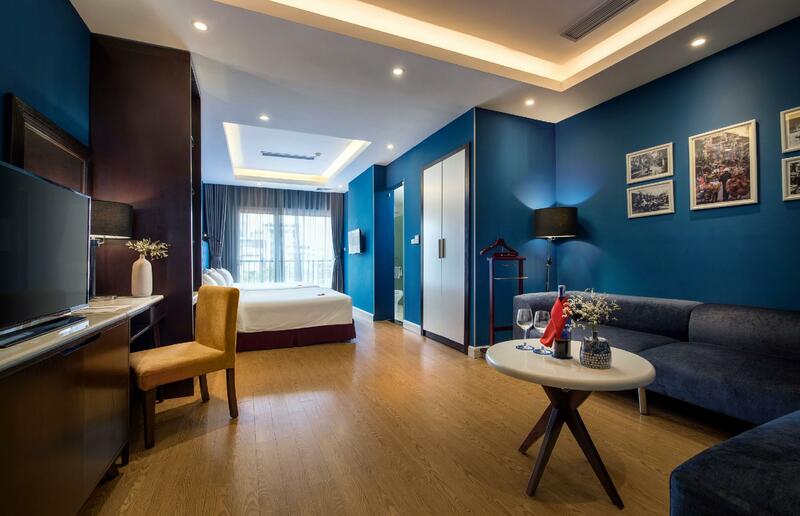 I had a wonderful stay while at Hanoi thanks to the comfort and their emphasis on cleanliness of the hotel, and the room. The room was nicely designed with my favourite colour. Feel it was the best room that suits my taste. And aside that, breakfast was amazing. Limited selection, but made of quality produce and passion. And the staff was very friendly and helpful, with strong command of English compared to the general public and other hotels nearby. Overall, it was a 5-star stay at a very reasonable price. I just chose suitable words to explain this brilliant place. All staff members are nice, room clean, my friend is lazy. So, everything is good staying this brilliant hotel. My mother is working in Korea, and I am traveling. I feel guilty. Mom, I love you. We stayed for two nights. The staffs are nice and supportive. Their location is great to explore the old town. There was one thing which we have already told to the staff: the weakness of the water pressure for both shower and toilet. They told us that they are planning to update, so it’d be better in the near future. Experienced excellent service from the staff particularly from Fiona, Phi Long and Jeremy. There was another lady at front desk who accompanied me to buy medicine for my son who developed a fever. Will stay again in next visit. A small but elegant hotel with 5 star service. I think hanoi can consider one of the most hospitality country. 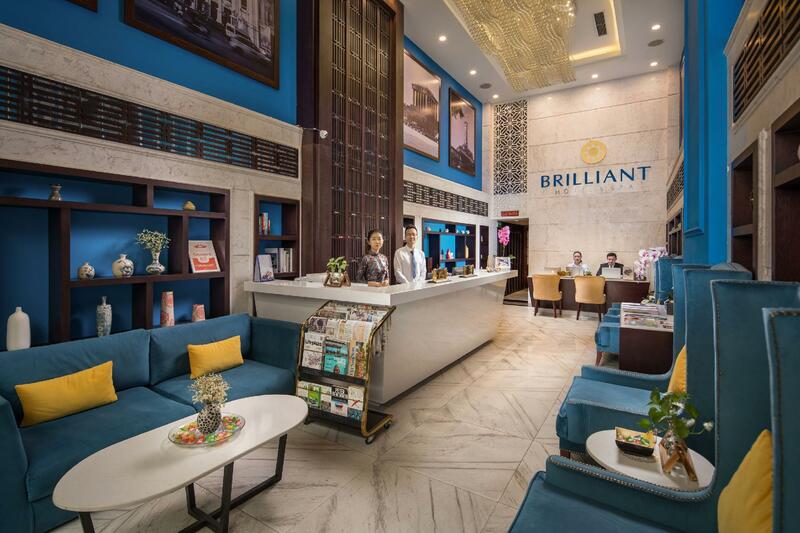 Upon reaching the hotel, most of their hotel staff will come out to welcome you. The registration process they made it easy. After provide them the necessary documents, they will handle all the registration process while you enjoying your welcome drinks. The size of the room is acceptable with the value paid. I assume all the hanoi hotel doesn't come with very spacious room size as it most of the building is tall and narrow. Toilet is clean but they are using glass door for toilet. So in terms of privacy i feels it's not so comfortable. They provide a very nice breakfast on the rooftop and just the space is limited hence it can't accommodate big crowd at once. Location of the hotel is very convenient and just a walking distance to the lake. Definitely will be one of my choice if i return to Hanoi with the value of money paid. Good location, you can find the Circle K, PHO 10 and Cafe Runam within 500m. Near to the Hoan Kiem Lake, you can walk along the lake after dinner. The staffs are kindly and helpful. Highly recommand and will stay again. Took an enclosed unit with two bedrooms (not connecting though) for my parents and myself, which gave us the needed privacy from other rooms on the same floor. 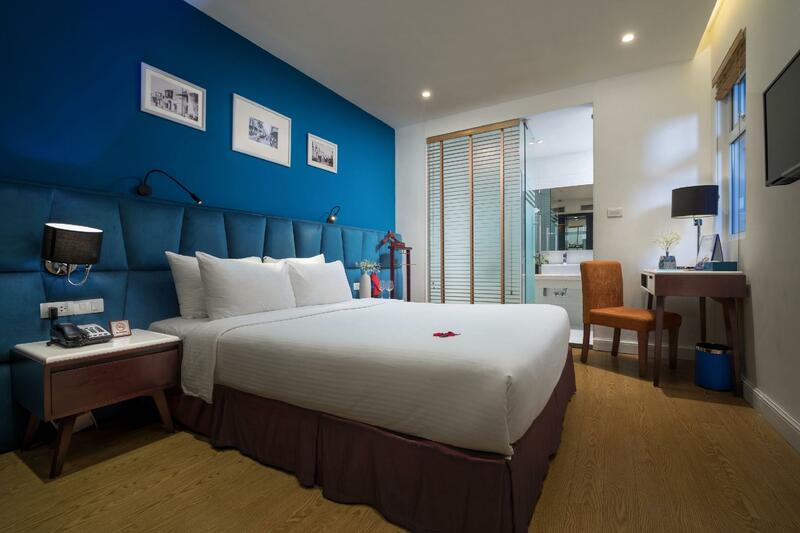 The hotel is near to hoan kiem lake and surrounded by shops and restaurants. The friendly staff were attentive to our needs - thanks to Puong Tran and Liem (hope got their names right) and their other fellow colleagues who made our stay at this hotel a pleasant enjoyable one! The staff at this hotel are amazing. They are genuinely thoughtful as well as efficient. They went out of their way to make sure I had a nice stay. Rooms, breakfast, and location are all great too. Would highly recommend to anyone! The hotel was near the lake, and other establishments. The people from the reception made us feel like we were coming home every time we returned from our daily trips outside. Phil and Ms. Huong (actually, everybody!) were very helpful in answering all my queries. They have currency exchange for their guests. They efficiently arranged our transfer from the airport to the hotel as we arrived midnight. Breakfast may not have a wide variety but it was delicious and generous... try their ca phe sua da. The hotel also let us leave our baggage when we checked out (since our flight out was again late at night) and even offered us a place to freshen up before we went to the airport at no cost. Thanks again, everyone! I already recommended the hotel to a friend, and it will definitely be my choice upon my return. Our family stayed here for a week. We really appreciate the warmest service that all staffs have showed to help us enjoy our holiday with my little naughty boy. Staffs responsed all our requests with their full kind. Thank you and will come back. Absolutely loved this hotel! From the staff to the cleanliness up to the location (which was right in the middle of Old Quarters). Only downside was probably the lack of window for my room. Otherwise, great place. Would definitely come back when I visit Hanoi again. As I prefer a hotel close to Old Quarter, I pick Hanoi Brilliant. It's a few steps from Cathedral Church and beside the lake. Very clean room and bedding and the breakfast is semi-buffet served up in 9th floor with spectacular view. Everything is good except massage service would close at 10:00pm and the last admission is 9:00pm. A little bit too early. I still can't forget the scenery of Hanoi. I was impressed by the accessibility of Hanoi Brilliant Hotel and the kindness of the staff. If I go again, I will choose the Brilliant Hotel. I will go back to room 700 where I stayed. Great service from staff. They are all very helpful and friendly. Breakfast buffet comes with ala carte choices too. Great food to start off the day. However, will prefer if housekeeping can change the bedsheets daily. Overall, a pleasant stay for my whole family.